In this fourth installment of the Foothill Gold Line Extension photo tour series, we explore planned Transit Oriented Developments (TOD) around some of the line’s future stations. 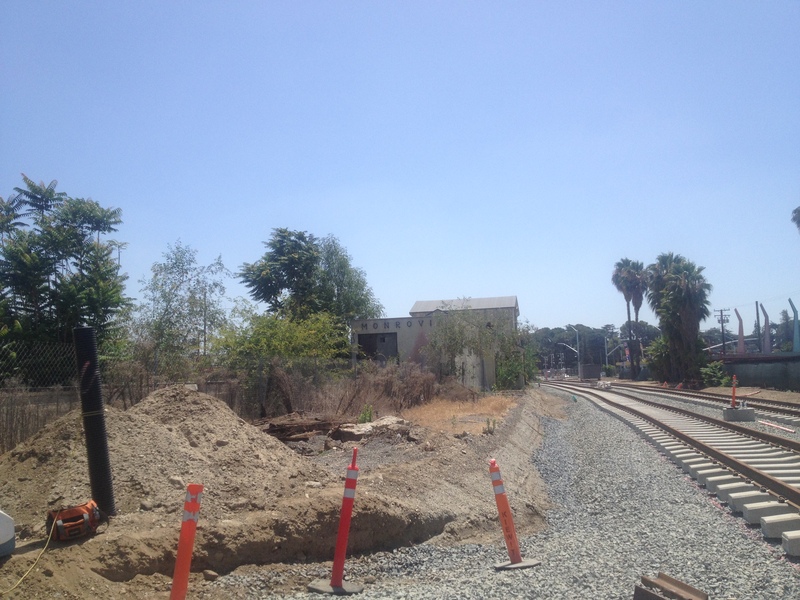 Recently, Streetsblog’s Damien Newton and Aviv Kleinman joined a behind-the-scenes tour of the newest Gold Line Extension phase under construction in the San Gabriel Valley. We joined Albert Ho, head of Media Relations for the Metro Gold Line Foothill Extension Construction Authority, and Jeff Rowland, the Community Relations Manager for the Kiewit-Parsons Joint Venture, the contractors building the project. Part 1 of the series documented the rail corridor and stations. Part 2 highlighted the maintenance yard under construction in Monrovia. Part 3 looked at the new bridges. For those just joining us, the Gold Line is a 19.7 mile light rail line running from East Los Angeles to Pasadena via Union Station in Downtown L.A. The line currently serves 21 stations, and is operated by Metro. The Gold Line Foothill Extension will extend from its current Sierra Madre Villa terminus east into the city of Azusa. The 11.3-mile new extension includes 6 new stations. The extension will serve five cities directly, and it is proposed to transform the San Gabriel Valley entirely. Once bounded by distress of being caught in freeway gridlock, San Gabriel Valley residents will now have the freedom to commute by rail into Downtown L.A. and endless locations from there by using the new Gold Line extension. TODs are generally station-adjacent mixed-use areas. They often feature relatively dense housing so that residents can easily and safely walk to the nearby station. TODs frequently include apartment complexes, retail centers, and parks, which make for a rich mix of destinations around transit hubs. Find more about L.A. County Transit Oriented Development in this earlier SBLA series. Monrovia Station Square is a great example of Transit Oriented Development. 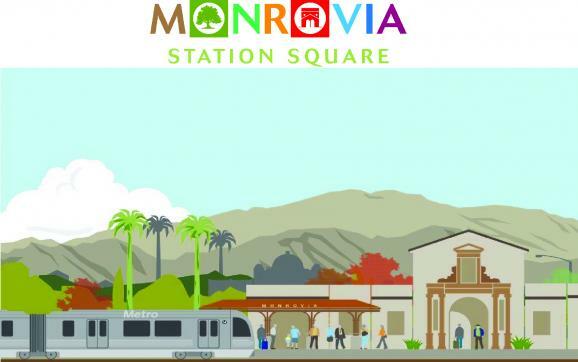 The Monrovia Station Square is a large-scale improvement project underway, hosted by the City of Monrovia. The city plans to re-vamp the area immediately surrounding the Monrovia Gold Line station currently under construction. The Station Square intends to transform a largely-forgotten commercial/industrial neighborhood into a thriving and bustling town square. The development will adaptively re-use Monrovia’s now-abandoned Santa Fe Railway station, transforming it into a new retail establishment. The city official we spoke with hopes it will become an artisan pizza shop. The current pothole-ridden park-and-ride lot will become a park, filled with green space, playgrounds, water features, and public art. 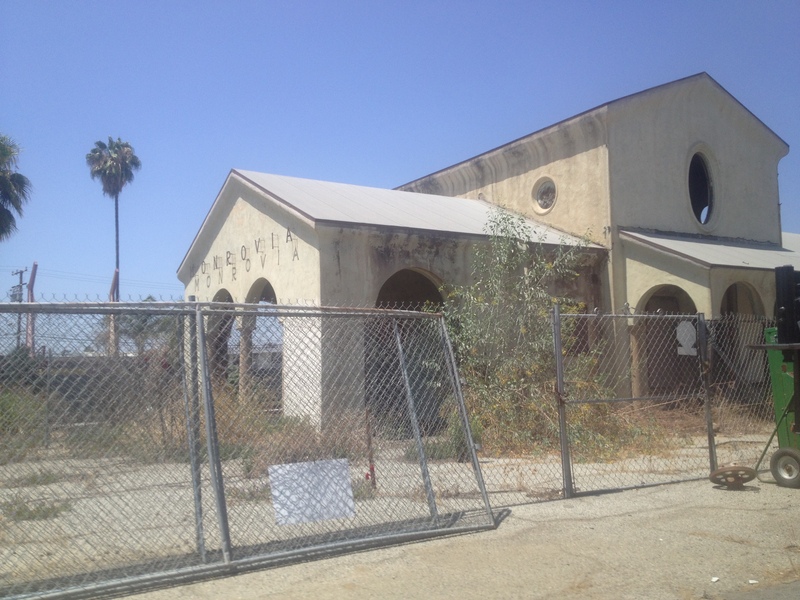 The abandoned Santa Fe Railway depot will soon become a trendy retail space in the proposed Monrovia Station Square. All photos Aviv Kleinman/Streetsblog L.A., except where otherwise specified. Built in 1926, the Monrovia Depot used to be a bustling transit station. Hopefully soon, the future Gold Line station just a few hundred feet west of it will be just as bustling. Nature has taken over the abandoned Monrovia station since its was shut down in 1972. Pictured here are the former station platforms. If you were an architect for a trendy new business, how would you put these platforms to good use? Answer in comments if you’d like! The new Gold Line’s tracks can be seen alongside the station, putting the depot’s former use as a train station into perspective. The original tracks have been long abandoned and many of the Gold Line’s tracks are brand new. The intent is that Monrovia Station Square will become a hub for good vibes and happy people. Its location at the Gold Line Station will attract people from all along the Gold Line, as well as from connecting lines. The city is working with local businesses and property owners to give incentives to transform the area surrounding the Square into an area rich with artisan shops, such as glassblowers and craft breweries. 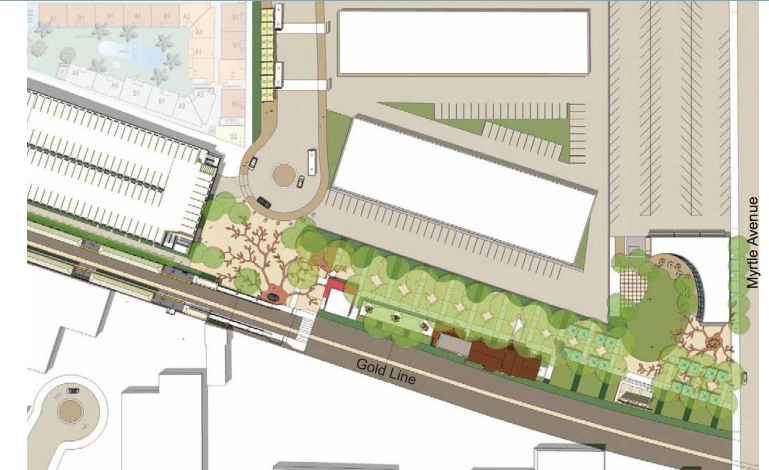 The city plans to install assorted public art pieces in the proposed park, and there is a proposed bus transit hub adjacent to the Gold Line station. The station will feature a Metro parking structure, with additional car parking planned for the Monrovia Station Square development. There is a proposed 200-unit housing complex proposed in the immediate vicinity of the Station Square, perhaps soon to be joined by other housing complexes. Perhaps these will house people working in and commuting to Downtown L.A. or Pasadena, or students attending Azusa Pacific University, located just a few stations away. A snippet of the flyer for the proposed Station Square. (Click to enlarge) The Station Square will include a Transit Plaza, the Depot Promenade, and The Neighborhood Park. The PDF of the whole flyer can be found here. A trolley shuttle is planned to connect Station Square with the historic downtown district located just a mile north by a trolley. This will echo the 1800s Myrtle Avenue Railroad, in which mule-drawn passenger railcars were towed up the Myrtle Avenue Hill, transporting passengers from the Santa Fe depot to Monrovia’s downtown district. The mules were then allowed on a flatcar and gravity brought them and the railcar back to the rail depot at the bottom of the hill. After a quite foreseeable accident in which the railcar ran out of control, toppled over, and injured the poor mules, the animals refused to ride the train any more. The future Monrovia Gold Line Station under construction. One Gold Line stop east of Monrovia, there is Duarte. The city of Duarte also has a development plan for the area surrounding the future Duarte station. Seen in Azusa: a housing development proudly advertises its close proximity to the future Gold Line station, in order to attract potential commuting residents (or people who like trains a lot, like I do). The future Azusa Downtown Gold Line Station is located just across from a huge retail center that is full of public art and fun-looking shops and restaurants. 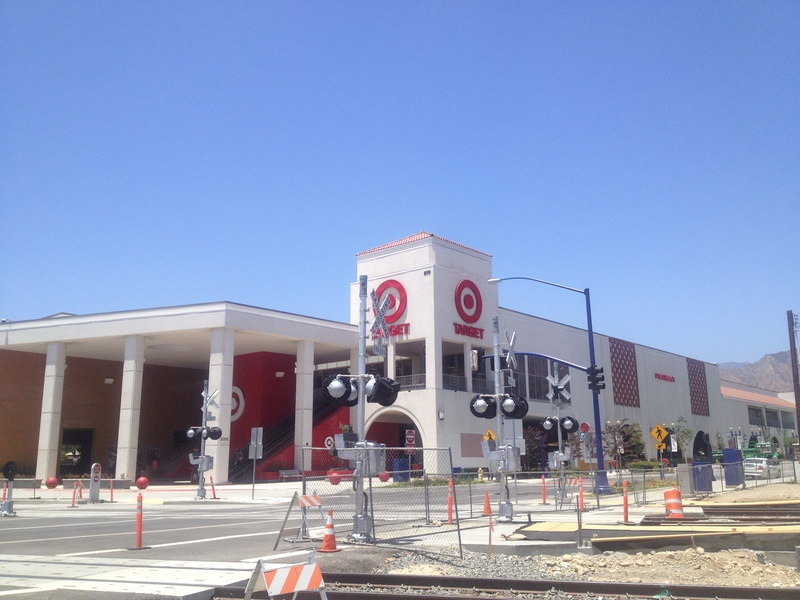 In addition, the Target pictured here seems to have popped up diagonal from the future station in anticipation of the proposed influx of train-travelling shoppers. The building sort of resembles a train station with its arches and large open-air spaces. I would consider this a special form of TOD, a development that occurs long before a station is built in place that is already useful without the station, but whose use will increase greatly once the trains start running. Thank you for tuning into this four-part series on the Gold Line Extension! 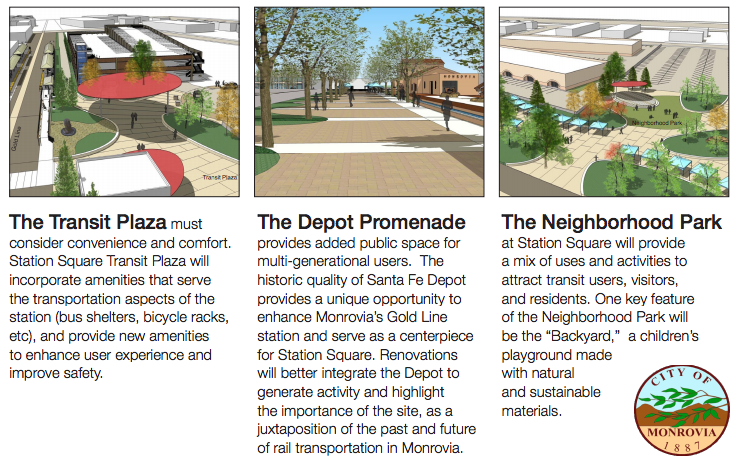 The Monrovia Station Square project looks like it has some nice features. 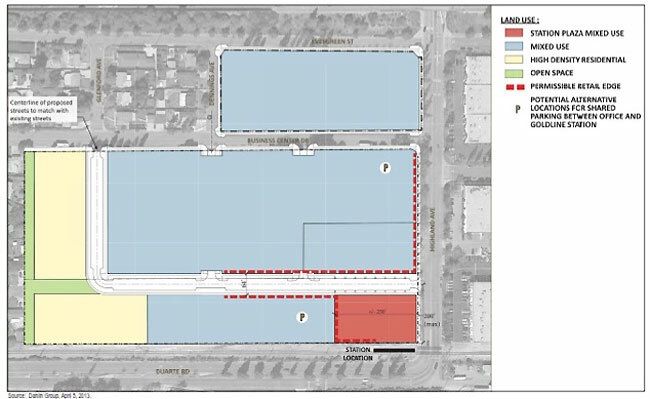 But even ignoring the parking structure, there appears to be more land given to surface parking than to the other buildings on the site. I hope those are at least designed in a way that they can be replaced with infill buildings later on. Agreed. That’s a LOT of land given to surface parking. It’s understandable that the city might be looking to accommodate park-and-ride commuters, but it would seem to make more sense to stack that parking into a structure and dedicate more land to housing/mixed-use, which will generate more transit trips and higher property taxes. Yes – I was a little disturbed when I counted more than 250 parking spots on that image http://la.streetsblog.org/wp-content/uploads/sites/2/2014/06/Screen-shot-2014-07-05-at-11.11.46-PM.png And that’s just the surface – I think the parking on the left (only shown partially) is a structure, because it’s shaded. Looks like P.O.D. – Parking Oriented Development? The Monrovia station is built at the same time and probably by the same architect(s) as the Claremont and Upland ATSF depots, which can be viewed as a reference for the potential of their Monrovia cousin. I think Monrovia station’s park and ride will mostly cater to all the commuters coming from the nearby south, like El Monte, Baldwin Park, La Puente, Temple City, etc. This line is going to serve a _huge_ chunk of east county… and unfortunately, not everyone will be able to bike or bus to the stations. If people from those areas are heading downtown, they’d take the Silver Line (which offers a much quicker and more direct trip). The question is, does a $15M parking garage for 350ish riders provide the same bang for your buck as $15M in bike/ped/bus access improvements? Probably not, especially given that better station access promotes TOD and all-day ridership, whereas park and rides are almost exclusively oriented toward commute trips. 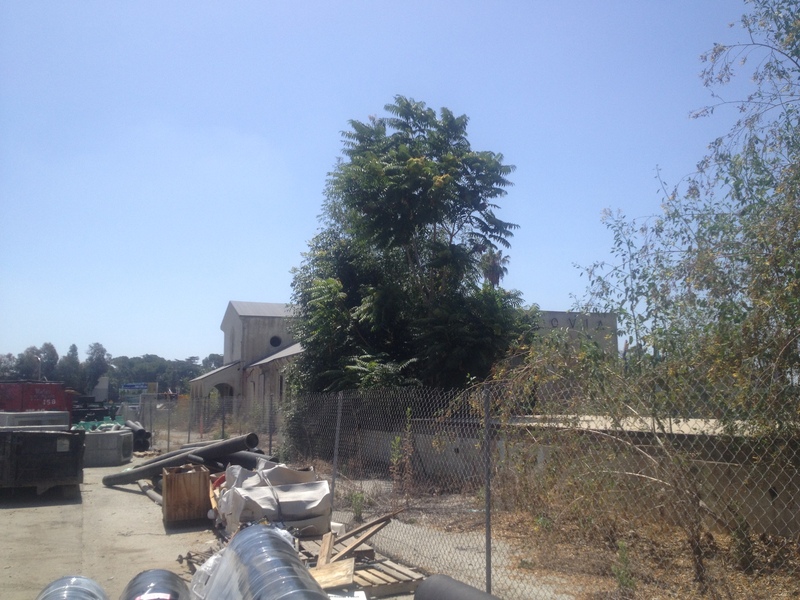 I hope new housing near the Monrovia Station Square and all the other TODs are AFFORDable. 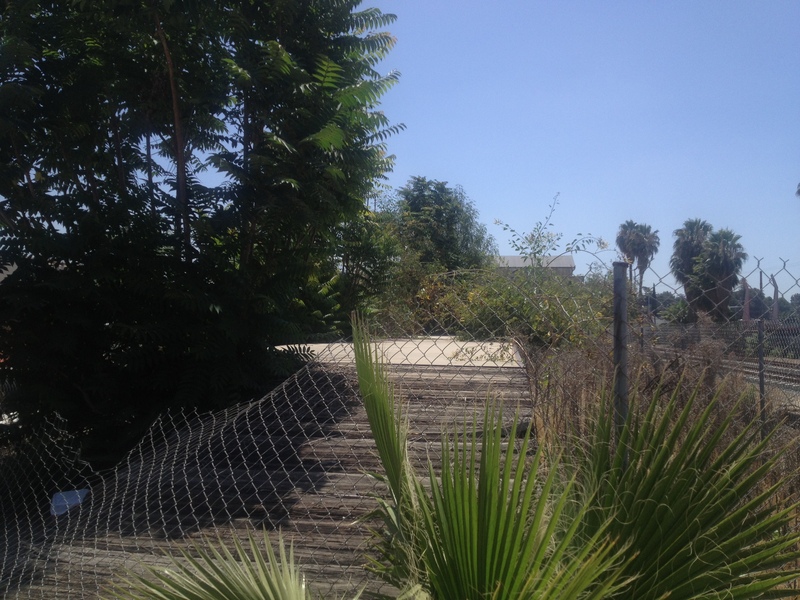 What passenger trains stopped at the abandoned Santa Fe station in Monrovia? When did did passenger service end on this line? Overall leaving some of the parking lots as surface lots or “POD” as Joe derisively calls it may act as land banking in the future. Long term, three story buildings are not much TOD. You need five or six story buildings within a quarter mile radius to really bring in the transit ridership. Ideally maybe something even like North Hollywood, where 10 and 20 story buildings and condos are popping up, would be best for true TOD. I agree overall – Jan Gehl favors those 4-6 story buildings more than the 10-20 (think Paris, not Vancouver) – but that parking as land banking gets us in trouble sometimes – as Southern California municipalities want “replacement parking” tacked on to the project that develops the lot. And this is also assuming that such ped/bike/bus connectivity won’t be implemented… but in reality, all of these GL Extension stations already have intermodal connectivity plans in place–e.g. a hub for buses at the Monrova Station and new bike lanes and modified bus routes at the APU-Citrus College Station. It’s worth noting that a relatively new active transportation advocacy group called “Move Monrovia” has formed in recent months to press the city for better bike access to the station square area. It was sobering meeting with city officials and realizing how much of an afterthought bike access was to them. We are working with the city to prepare a new bike plan that we hope will provide safe connectivity between other parts of the city and the Gold Line station. 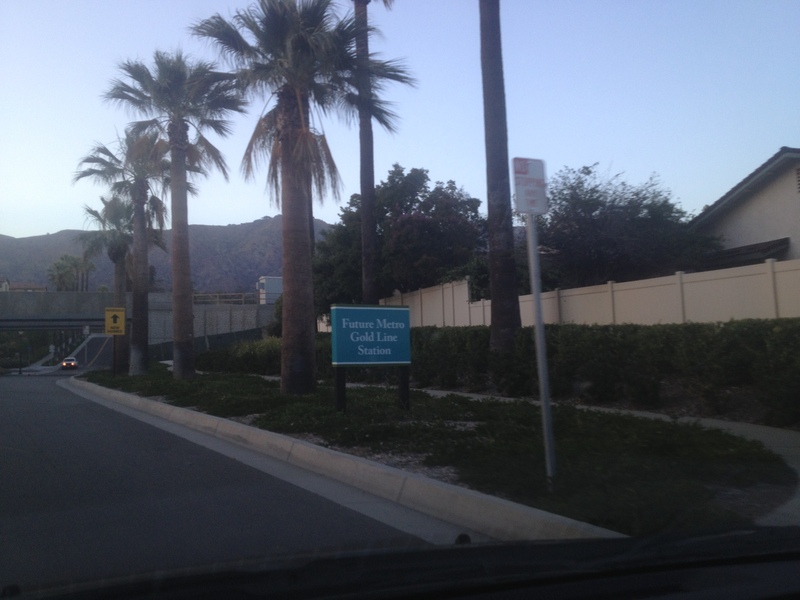 I definitely agree, but the area around the future Monrovia station is heavily industrial and business park-ey. It will probably take a while for the area to transform to what we see in NoHo, and I look forward to watching that happen. But for now, I believe the one housing development is a great kick-starter for the area. I live near Monrovia–so what are some of the things you are looking to improve? Do you have a bike access improvement plan posted online somewhere? I feel the west end of Duarte Dr. desperately needs bike lanes… from Hong Kong Supermarket to the Gold Line station. You guys are probably clamoring for a bike lane from Old Town Monrovia to the station, but I think the south-of-the-tracks side of Myrtle Ave should also have bike lanes since that area is where lower income Monrovians and El Monte-ians live… so basically the entire Myrtle Ave from north to south within Monrovia, more or less. Yes, we’re actually calling for better bike access to the station from all directions: north, south, east, and west. We’re currently making suggestions to the city about updating their old bike plan with a new one that will create a network of bike-friendly streets and connect to schools, parks, and neighboring cities in all directions, as well as Old Town and the Gold Line station. The subject of parking facilities is a hot-button issue for many Streetsbloggers, but automobiles will be a common form of local transport for some time yet, whether we like it or not. If you look at a list of Pacific Electric stations, there were four or five between Arcadia and Monrovia. The Gold Line east of Pasadena is more like a suburban operation (e.g. Metra Electric south of Chicago), partly because stations are so much more complex and expensive now. The Red Car would stop at street intersections (like Magnolia & Olive in Monrovia); no platform, no ticket machines, just climb aboard and pay the conductor, who would make change if you didn’t have the exact coins. A further comment on parking: In January, I was taking the Gold Line into LA for jury duty. Since the bus service from our neighborhood is rather infrequent, I drive up to Sierra Madre Villa and usually parked in one of the last remaining vacant spots. One day, SMV was totally packed, and I had to drive to Del Mar to find a spot. It will be interesting to see how busy SMV is when Arcadia and Monrovia open. The Monrovia station was not a regular passenger stop. Back when I was in Kindergarten at Santa Fe School in 1945-46, we had a short “field trip” to the depot to watch the local train come through and pick up the US Mail “on the fly”. Had someone wanted to board the train, the station agent would “flag it down”, but otherwise it would just come racing through. The Super Chief and El Capitan would go through at 60 mph, not stopping until they got to Pomona or Pasadena. Service on the line would have been regulated by the CPUC and the Federal ICC at least until the formation of Amtrak (passenger) and the Staggers Act (freight). Amtrak ran passenger service on this route between LAUS and San Bernardino (and then to the east) up until the late 1980’s, but only with stops in Pasadena and at the station building still standing next to Metrolink’s Pomona (North) stop. Yes, the structure to the left of the cul-de-sac is a parking garage. Here’s what it looked like (viewed from the west) a few days ago. Yes, there is a parking structure. I posted a photo of it (in progress) above in the discussion thread. I wasn’t aware of the bike access efforts. Thanks for sharing this. I’m on board. My highest concern was ensuring pedestrian access from the west; there are other intersections not far that are so poorly designed that, well, shudder. (If you’re local, consider in-town transportation driving north toward Huntington by the McDonalds. Gah. Given that bone-headed intersection construction and lane allocation, I wanted to make sure they would provide decent pedestrian access from the west.) Once I found out that things are okay w/ planned ped access, I paid less attention. I’m very glad the bike access efforts are taking place.